The latest market report by WorldDAB, the organisation faciliting the global take up of DAB, reveals that by the end of Q2 2017 almost 60 million consumer and automotive DAB/DAB+ receivers (58,432,000) had been sold in Europe and Asia Pacific – up from 48 million one year earlier. The WorldDAB report includes statistics on receiver sales,road and population coverage, household penetration and the number of national stations on DAB/DAB+ compared to FM. The report covers Australia, Belgium, Denmark, France, Germany, Italy, the Netherlands, Norway, Switzerland and the UK, along with DAB rollout status in emerging markets in Asia, Europe, the Middle East and Africa. 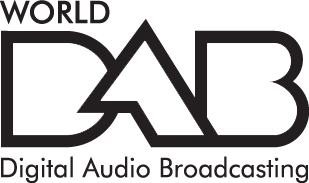 The progress of DAB around the world will be discussed at the upcoming WorldDAB General Assembly 2017, taking place in Paris from 7-8 November. High-level decision-makers from governments, regulators, the automotive industry, manufacturers and technology providers will outline the latest DAB developments, share new business cases and discuss the future for digital radio at home and in the car. To view the latest programme and register, visit the WorldDAB website. Sources for the infographic include: Digital radio survey by Kantar TNS, Trade Association for consumer electronics, Digitalradio Norway, Norkring AS, GfK, MCDT, Weer GmbH, OFCOM Switzerland, SRG SSR, Media Broadcast, Teracom A/S, Danmarks Radio, Digital Radio NL, RTBF, Norkring Belgium, SMMT/CAP UK, BBC, RAJAR/Ipsos MORI/RSMB, Digitisation report 2017 carried out by TNS Infratest, DAT/VDA report 2017, JATO Dynamics, Glass’s Automotive Business Intelligence and Commercial Radio Australia.